Website Optimisation is the art of getting your website to feature highly in search engine rankings. It's no good having the best looking website in the world, that's all singing, dancing and fancy if it does not feature within the first few pages (ideally the 1st page) of Google, Bing, Yahoo or Ask, because no one will get to see it. People searching the web using search engines such as Google generally use 3 to 4 words (we call these KEYWORDS) to find what they are looking for, and unless they are having problems finding exactly what they want, they will generally NOT go past the first few pages of search results given in any search engine or they will adjust their keywords that they are searching with TO FIND EXACTLY what they are looking for, So if you are looking for website optimization London you're at the right place. Or "SEARCH ENGINE OPTIMISATION LONDON"
I'm the Best SEO in London for a reason, I do not spam your website with long winded emails telling you what your not doing or what I can do for you. I believe "the proof is in the pudding" And that's why I'm NUMBER ONE for most of my chosen search terms, I show you what I can do! If you want the best go to the best and the best will feature at the top of the search engines, it's that simple. I don't give false promises or blame Google updates or ask for more time and charge you monthly with false promises, I do my job which is to make you NUMBER 1. Websites are especially good for people nowadays who search online, which is quite a few of us, that require services that you potentially have to offer, even if they do not know you yet, but unless they know your company by your exact name it can be very difficult for them to find you on the world wide web. And if you wish to attract new customers this is how people will find you now! 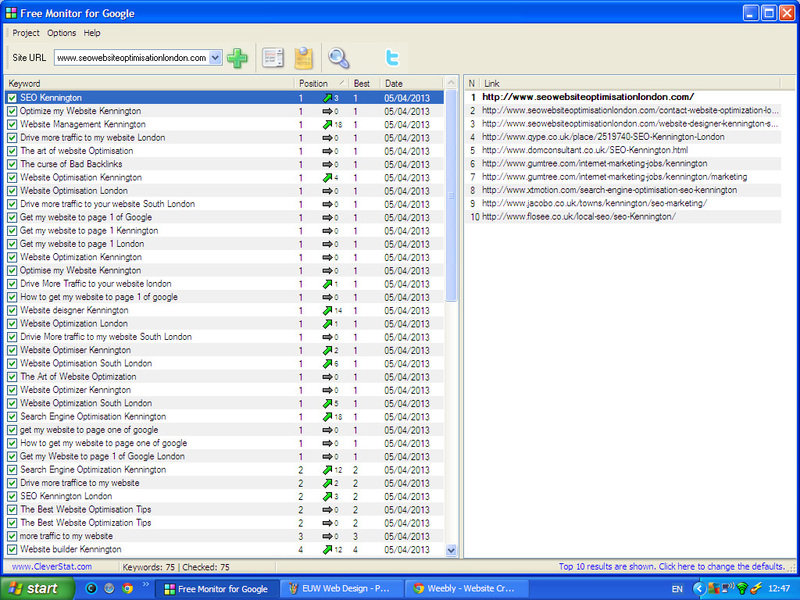 A website that appears on page 1 in London search engines is key to attracting new customers & increasing your business. These days every one with a bit of knowledge or help or perseverance can produce a good looking website but unless you have regular visitors to your site what is the use? A website appearing in the first few pages of Google is a necessity. The higher your website appears in thee Google Search Engine the better...............! And this is what we call website optimization! .This is what I specialize in............................. but from scratch I can also create and design a website for you, which is in a lot of ways much better and easier because many of the optimization issues are skipped if I do it initially!. I promise no quibble page one optimization results for you chosen words for your website even if you have an existing website. All Anchor Text SEO Optimised throughout the website. Writing and submission of unique articles which include links back to your site using your keywords to many article directories. Social Bookmarking - Your website pages, blog and youtube pages all submitted to bookmarking sites for increased backlinks. Ping and RSS Submit - Your website pages we created on the link wheel and RSS feeds from them will be submitted to ping lists and RSS directories for increased exposure and quicker indexing. Full Advanced Report - A link to your report will be emailed to you showing links and pages created as well as search engine positions. Backup of all files before they are worked on. Extra monthly link building work. Custom Videos - we will create a video promoting your website and submit to Video Websites such as youtube and Vimeo. Microsites - Create and post Unique articles on micro sites all linking back to your website. 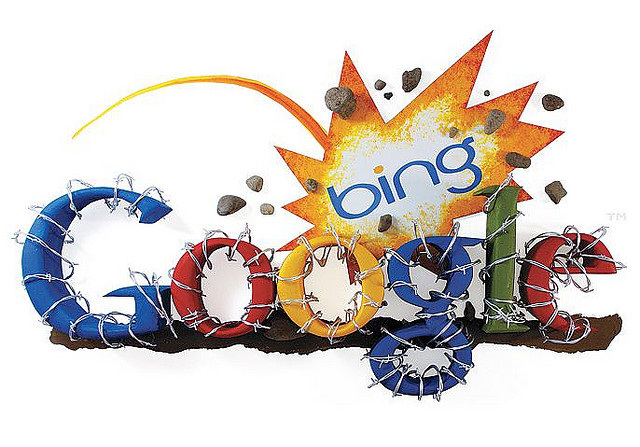 Submit Sitemap to the major Search Engines Bing, Google, Yahoo. Act now and get your website up the rankings. DO I ONLY HAVE TO OPTIMIZE MY WEBSITE ONCE? Well, Yeah and No................! The main problem we / you have is that there are hundreds of businesses on the web trying to vie for the same keywords, customer and ultimately to appear in page one of Google. And once you have achieved a page one listing with your desired keywords you may need to adjust your website now and then to continue up there and keep competing against them and other new websites that will continue to appear. Additionally search engines constantly change the way they rank websites and their content. And therefore you may need to adapt your website to keep up to date with those changes or likewise to take advantage of these changes. Good Google Search results (Rankings) can only be obtained when your website is properly structured, relevant and technically sound. What I do is assess and optimize your website so you are not just achieving better search results but more search results too. These improved Google search results will attract more paying customers or visitors to your website and realize greater profits for your business or company in London. Website Optimization is an investment in your online business not an expense. Just the same as Advertising in a local newspaper or magazine. An optimized website will ultimately attract more visitors, it will convert more of them into leads and sales and generate more profit. I deal with many London businesses and clients who have previously advertised through magazines, newspapers and even letter box fliers / or Junk Mail as I call it. And with the results I give, ultimately their advertising revenue has ultimately gone down in total, yet they gain more customers and attract more new visitors through appearing online at the top of UK search engines. And they are happy that they are only a click away from their next new potential customer..................! Before we begin any search engine optimization campaign, we have to find the right search terms for you target audience. It is important to note that Google ranks PAGES, not WEBSITES. We can use this to our advantage and make every page of your website target its own specific keywords to be found in the search engines. In order to do this we need to carry out a detailed research into your best keywords, those that will attract the most visitors. Because of the way search engines work and how people search. Optimizing a website may involve editing its content and page elements to both increase its relevance to specific keywords and to remove barriers to the indexing activities of search engines. This is included in my setup fee. Once this is done, we then look at targeting keyword phrases and other link building methods. For a new website or if I have not worked with you before, then first I recommend you order the Full SEO & Setup Service. Then once you're happy with the results that's it, or if you need more keywords ranked and better serps then order a Top Up SEO service. No contracts and no long term commitments, I tell you what I will achieve and I don't stop until I do that, with no extra fees if I don't achieve our agreement on time. I keep working on your website until I have done what we agreed. Keyword research we locate new keyword phrases each month to target for your business and location and improve your rank for these keywords. Press Release writing and submission we will write a press release including links back to your site and submit it to many news channels including Google news. Microsites, Blogging - Create and post Unique articles on microsites all linking back to your website. 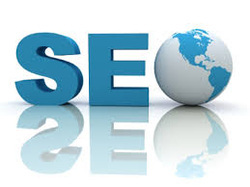 I can tailor all my SEO services to meet each clients specific requirements. All my techniques are completely WHITE HAT & NATURAL. So I don't worry about Google updates. I achieve all my page and site rankings 100% naturally.